Jordin Tootoo hails from Nunavut — a territory in northern Canada — and his trail-blazing hockey career has taken him a lot of places. Now, it sounds like he’ll be Europe bound. The 35-year-old forward is healthy again, but without any NHL options on the eve of training camps opening, he’s looking to take his talents overseas. “Nothing has come my way (from NHL teams), but I’m weighing out my options to go to Europe and maybe experience that if something comes up,” Tootoo said over the weekend. “I think it would be a fun thing for not only me, but for my family to experience. Jordin Tootoo says playing in Europe is both intriguing and enticing — for the hockey as well as the lifestyle. Asked where he would want to go — from Russia to Switzerland, Sweden to Germany, Finland to the Czech Republic, perhaps even China — Tootoo was keeping an open mind. Tootoo is already well travelled — leaving his home in Rankin Inlet at the age of 13, moving to Alberta to chase the dream. He’s been through a lot since then, both on and off the ice, but Tootoo is preparing to embark on another new adventure. Destination unknown. Tootoo sat out last season, recovering from injuries and surgeries on his lower back and shoulders. He was on a one-year contract with the Chicago Blackhawks and appeared on the roster for their farm club, the AHL’s Rockford IceHogs, but didn’t suit up for a single game with either team in 2017-18. 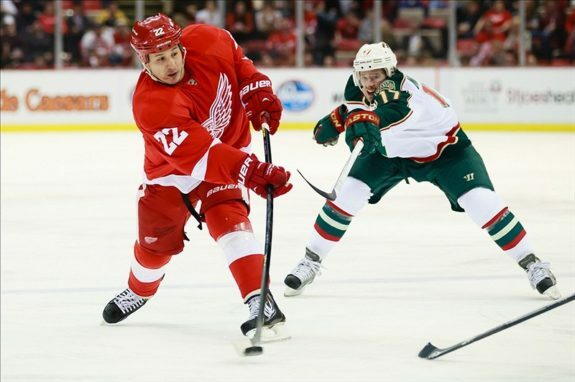 Out of sight, out of mind is probably the reason for the lack of NHL interest in Tootoo this fall. He could have pursued a professional tryout — a PTO — as a chance to audition at training camp, but that wasn’t a priority. The uncertainty of it all, and the likelihood of being offered a two-way contract rather than a one-way deal, has Tootoo looking elsewhere. 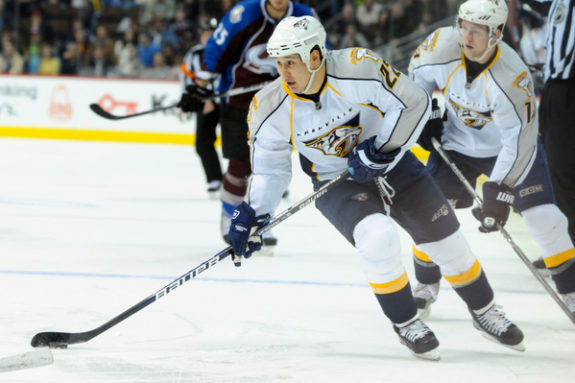 Jordin Tootoo, who had his best years with the Nashville Predators from 2003 to 2012, isn’t interested in the PTO route. Part of the appeal for heading overseas is the chance to play a different role — and more of a role in general. Tootoo was a skilled player in junior — he had consecutive 30-goal, 70-point seasons with the WHL’s Brandon Wheat Kings before going pro — but he’s best known for his toughness and intimidation at the NHL level, topping out at 11 goals and 30 points. He’s had five seasons with more than 100 penalty minutes, amassing 1,075 to date. That meant a lot of fighting — 101 times in the NHL, plus 26 AHL tilts and 56 WHL bouts for a whopping total of 183 scraps, according to Hockeyfights.com. Being undersized, at 5-foot-9 and around 200 pounds, Tootoo was punching above his weight class more often than not. “For 15 years, my body has been taking a beating, so it would be a nice change,” Tootoo said of playing in Europe where fights aren’t nearly as common or expected. “I’ve been talking to a few people, obviously it’s a different game over there, but just to play the game again, I know I have a little skill in me to play hockey,” he added. On the bigger international ice, it is more about finesse than physicality. So catching on in Europe might be easier said than done for Tootoo since word travels far in the hockey world and he may be pigeonholed as a pugilist at this point. He’s hoping to get an opportunity to prove that notion wrong — to show he’s still got a skilled side. “Knowing that I can actually play the game, that’s why I think it would be a great experience for me to go over there and kind of let my guards down and enjoy the game — not worrying about dropping the gloves every night and playing that physical part,” Tootoo said. The game is changing and evolving on this side of the pond too, with the enforcer role gradually going the way of the dinosaur. Tootoo shouldn’t be extinct, though. He’s never been a true goon. He was always an honest player and a big hitter more so than a big fighter. More of an energizer than an enforcer, but a momentum-changer just the same. He can also skate and shoot and make some plays for his linemates. 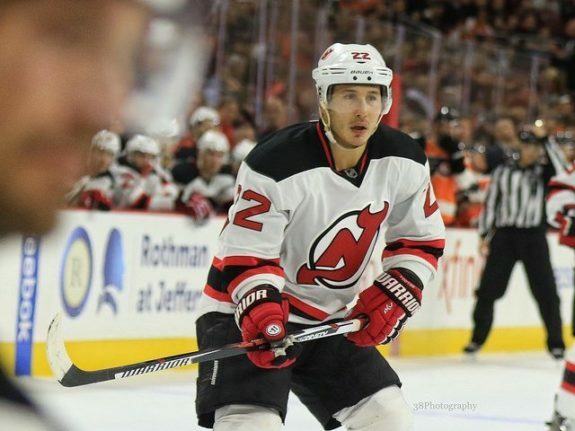 Jordin Tootoo fell out of favour with the Detroit Red Wings and wound up getting bought out in 2014, but he bounced back to score 10 goals for the New Jersey Devils the following season — one shy of his career high. Truth be told, Tootoo feels capable of keeping up and playing a regular shift in today’s NHL. He believes he could chip in offensively and find ways to be a contributor on any team. Tootoo would love to get that chance again, but it seems the NHL ship has sailed — at least for this season. Perhaps he could circle back coming off a productive campaign in Europe. He’s a realist, but he’s not considering retirement right now.